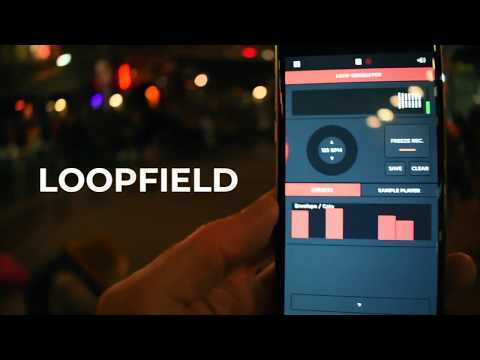 Loopfield 1.1 has been released yesterday. It’s a big update that brings Audiobus support among other things. 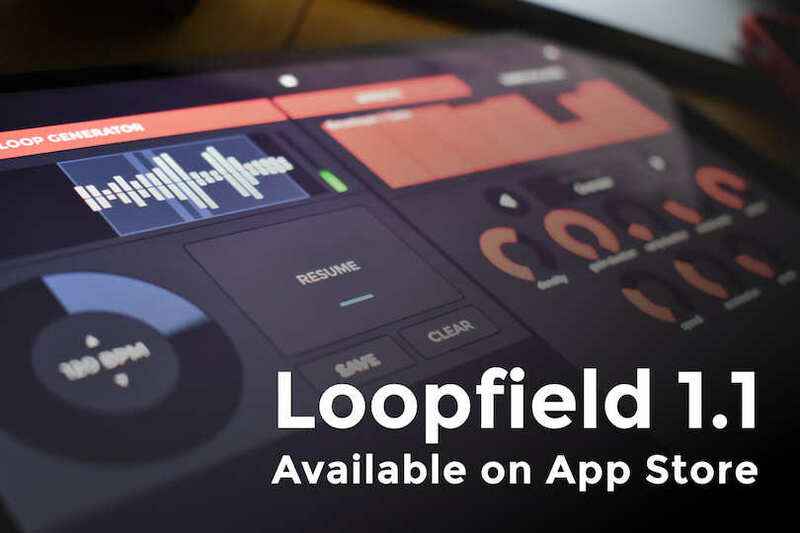 It means that the app is not limited to field recording anymore, but can also be used to create loops out of any other source supporting Audiobus. Was already a great app - the update takes it to a new level. The AB is most welcome. But why do so many people reporting or recommending an App just don't post a link to that App in the App Store? I realy don't understand this behavior. In any case, a link would not only be helpful, but is even crucial. I hate trying to search things in the Apps Store, as often you get loads of wrong Apps. Also, this burdens the search onto every and any other person who may be interested, multiplying the time spend. Sorry, could not hold myself. There was your chance to post a link. I'm realy interested in why so many people just don't do it, even if they have an interest in distributing the information. Literally took me 4 seconds to find it in the store. If that was pointed at my "time consuming job", it was meant as "for all those topics that don't post such a link", which is the case in many topics and for many Apps. Took me 3.5 seconds to find it on the app store, but I have been practicing too. So what does the AB3 support look like? Animoog, say, as the audio sender and Loopfield receiving? That’s interesting. @tja just be the person that posts the link. Oh nice! I didn’t get a chance to test the latest version much, but just had a quick play and it’s working well in the AUM fx slot. And, I really like the simplicity and sound of LoopField’s granular fx, etc. Have not tired Animoog but Blocs Wave in AB input slot and Loopfield in output slot works very well. Have to ask the obvious question; does it bring anything to the party that our friends like Loopy don't already? why do so many people reporting or recommending an App just don't post a link to that App in the App Store? I always want to see the price and features in the store before seeing any other comments. Let's give Karma points to anyone that puts up that link! When they do it's usually the Swedish iTunes store most likely due to times zones. I just wish I could convert Krona (kr?) to US $ faster. Currently it's 9.13110 to 1. But those Swede's are racking up all the Karma points for helpfulness. "Immediate musical immediacy". 'nuff said. It does landscape mode, on iPad at least. 2 features that would make this cool recorder app even better for me are host sync and slide over mode. I bought this and really love the simplicity and results. Regarding your comment on the field mic: I already have a Tascam DR-22WL. I'm on ipad. I don't know if i should look for a simple interface solution, if one exists, to use my Tascam's mics? Or make a purchase similar to yours with a field recording mic, which i probably still need to interface it somehow? I'm on ipad mini2 and i already have a lightning to usb. How does this export? Perfect loops? If I were you, I’d definitely go with a mic that connects into the lightning port. It makes recording super straight forward and very portable. BUT...make sure you pick the right solution. I have an irig mic field recorder that isn’t great quality but which has an unanticipated benefit that it not only plugs into the lightning port but that it allows you to monitor the input via a separate headphone jack. It means I can use it not only on my iPad but my iPhone X which doesn’t have a headphone port. I also have a Shure MV88 which I pretty much bought to use with my iPhone X but which doesn’t allow me to monitor the input. Means I have to use Bluetooth to monitor. The Shure, however, sounds amazing. It’s up to you, but I’d definitely avoid an audio interface. You want to use this app on the streets, in restaurants, or wherever there are interesting sounds. Thanks for your input, I do appreciate it. 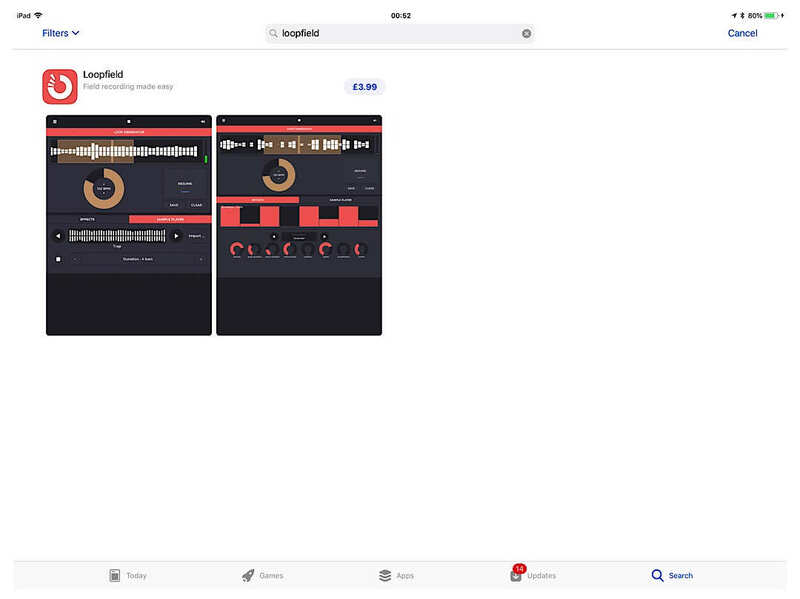 I was very pleased to discover tonight that I can have AudioShare feed into Loopfield via Audiobus. It's nice because all the field recordings on my Tascam I have tranfered to my ipad via wifi. They're edited and saved in AudioShare. It's also nice that AS files can loop when played back. This will keep me content until I purchase another mic.